Facilities of the highest standards and services inspired from the American Basketball. 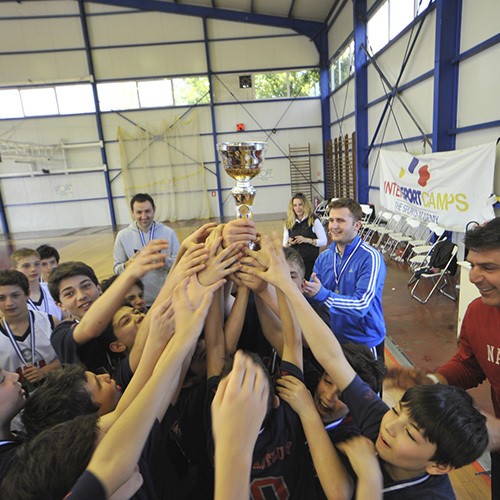 Greece has a huge tradition in basketball and the same stands for SPORTCAMP, which is the perfect place for any team’s training, basketball camps and high level clinics. Top basketball teams from Greece or abroad choose SPORTCAMP; it is the ideal sport centre that combines modern and fully equipped facilities with services shaped after so many years of experience. Apart from our contemporary sport venues, we are offering significant know-how on basketball training, covering the needs of the most demanding team. We are cooperating with distinguished coaches and we are able to organize any kind of friendly match or tournament between your own and other equivalent teams. More than five (5) modern basketball indoor halls are available in the area and they could stage any basketball training or tournament.